When I got out of a long-term relationship a few years ago, I got myself into a casual arrangement with an emotionally unavailable man. Why? Because I didn’t want any more relationship drama. Ironically enough, with my luck in men, it turned out to be an emotional-and-dramatic-long-term-on-again-off-again thing – which I’ve yet seen the end of. So, here are my five rules of casual dating. The most important thing, before you do anything else, is to stop being in denial. How do I know this? Because I’ve lived it. Before I dubbed myself Queen of the Fries, I was Queen of Denial. Maybe this will lead somewhere. I remember telling myself that, because I had never been in a ‘casual’ relationship before. I’ve had one serious relationship prior to that. And it was the ‘right’ way to do things as far as I’d been brought up. You date so that you get into a relationship so that you build a future together. Makes sense, right? Until I met this guy – charming, a killer smile, great dancer, impeccable manners, amazing way with words. I wasn’t ready for a relationship at all. And anyway, he wasn’t relationship material. We had amazing chemistry and loads of fun together, but I couldn’t bring myself to admit I was ‘casually’ dating him. It just didn’t sit right in my books. I felt guilty for being involved with someone I don’t see a future with (thanks, Mom). So what did I do instead? Convince myself that it would lead somewhere, and that it wasn’t going to be all in vain. It’s like lying to yourself that these fries aren’t that unhealthy. (Yes, they are) or saying I’ll have just one fry. (No, you won’t, nobody has ‘just one fry’). Deep down, I already knew the truth. I just refused to let myself believe it. You want to eat fries because they’re freakin’ delicious. You want to date this guy because you want to have fun (or because he has nice abs, or whatever the reason). It’s as simple as that. There’s no need to feel guilty, or try to rationalize or justify it, or turn it into something else. Just own it, and enjoy it. 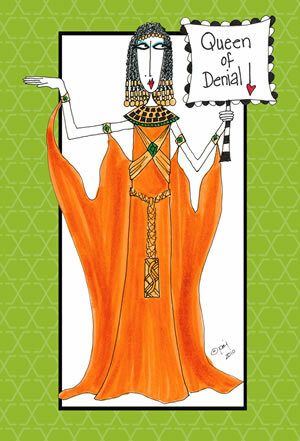 You’ll be surprised how liberating it feels to step out of denial. Very good and funny post. I can empathise with certain situations. I have had too many casual dates than i care to remember. I just cannot seem to find someone on my wavelength. Am i being to picky or too elitist? I’ve had a couple casual things in the past year or so, and am realizing I’m not cut out for it. I envy people who can handle it and fancied myself to be one of them until I started freaking out about him not calling or texting and wondering where this was going all the damn time. I’m not sure if I can train myself to think differently, but I’m definitely fascinated with reading about others who are comfortable with such situations. In my recent long stint as a single person, I’ve also realized that men come and go, but fries are always there for me.